Our Secure ID product allows you to securely provide authenticated identity to partner websites for account sign up and access, including technologies that no longer require legacy usernames and passwords. 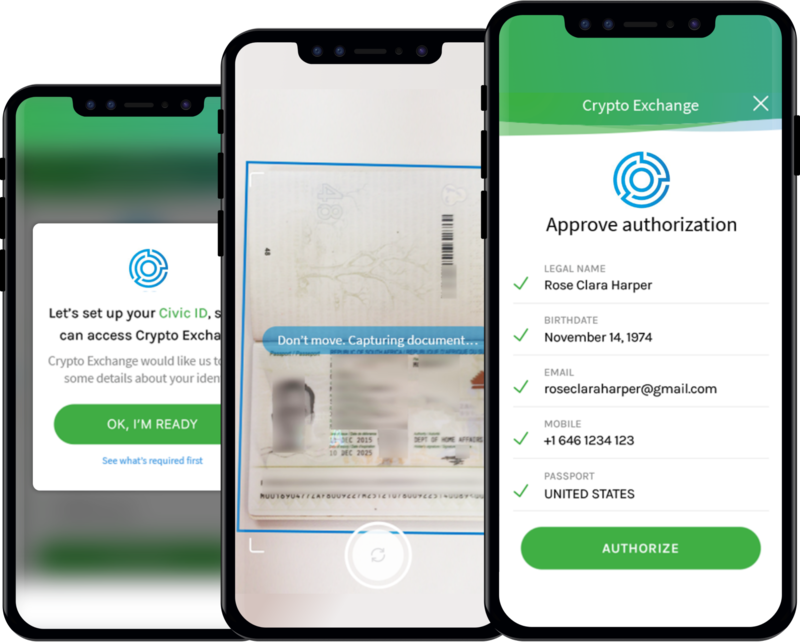 Identity Verification allows you to easily verify your information, and then share only specific details with an identity requestor. Civic or a third-party identity validator verifies the identity. The user only needs to share their relevant information.